Texas Pikes 2017-18 Executive Council Officers. Pike elected new chapter officers in April for the 2017-18 school year. We say thanks and “well done” to the outgoing officers. Special thanks to outgoing president Lucas Anderson. 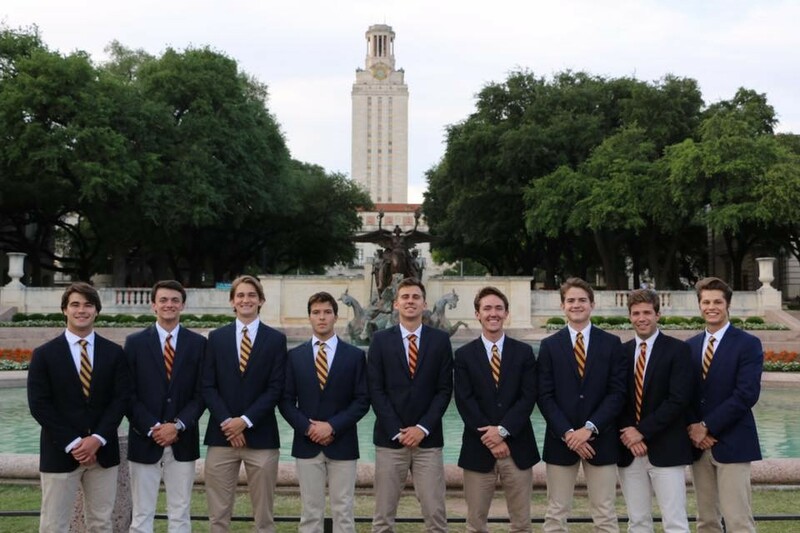 The new Executive Committee (pictured) is composed of President Zack Wagner, Internal VP Parker Morris, External VP Nicolas Thompson, Treasurer Hunter Hendrix, Secretary Joe Dempsey, Sergeant at Arms Mitchell Benson, Co-Social Chairs Garrett Beirne and Landon Hackley, and Rush Chairman Kris Kubin. Congratulations to this new cadre of leaders and thanks for your service.